Swimming In Ice Cold Water? Are You Out Of Your Mind!? No, absolutely not! Did you know that winter swimming can keep you in a good shape? More than 150,000 Finns are enjoying this activity on a regular basis during the season. All you need is a swimsuit and a hole in the ice of a frozen lake, river or pond. It is a sport that has been practiced more in the past by elderly people but it is now gaining terrain also among younger generations. If you fancy trying new things, this post is for you. Christmas is right around the corner and we all need to take a short break from the festive preparations. Exploring Finnish Christmas markets is a great way to share warm moments with your loved ones, discovering some of the most typical Finnish treats and unique local handicrafts. But where to find these Finnish Christmas Markets to bring back home some of the most unique hand-made gifts? 3,3 millions! This is the most recent number of existing saunas in Finland. Ain’t that enough to express how important the Finnish sauna culture is for Finns? Our modern urban way of life has changed the way we resource ourselves. But from Helsinki city center to Nuorgam, the northernmost village in Finland, every Finn remain loyal to one thing: The Finnish sauna tradition. The autumn is here and the hunt for Northern lights has begun. We have already seen a few good ones in Finland, so we thought it could be cool to share with you a few tips to maximize your opportunity to capture these exciting moments. Featured photo by: Harri Tarvainen. In Finland you can enjoy the outdoors at anytime of the year. But autumn has a particular flavour and we would love to give you the chance to experience the natural phenomenon called ‘ruska’. Over here, seasons are really contrasted and autumn is no exception. Darkness is progressively taking over, days are getting shorter, announcing the forthcoming winter. Autumn is also a period when you can admire the first northern lights blazing in the starry sky. It is also a good time to pick up berries and mushrooms. It is one of the best seasons to venture into the wilderness areas of Lapland, and here is why. With almost 188,000 lakes, more than 30 important rivers with the length of over 100 km and the Baltic Sea, the water is omnipresent in Finland and in the Finnish lifestyle. One of our favourite ways to explore the Finnish nature is from the water. The canoe and kayaking season starts from the first of May and ends in October in the South of Finland, where as in Lapland, the season usually kicks off in June and ends in September. So, grab your paddle! We have listed here 3 paddling destinations in 3 regions to feed your adventurous minds. Celebrate Midsummer the Finnish way! The midsummer celebration is an important event in the Finnish calendar. This festivity, which takes place on Friday and Saturday from the 19th to 26th of June depending on the year, is synonymous with good food, the midnight sun, bonfires and party. So let’s dive in to see what you can expect from the midsummer party à la finlandaise. What are the best souvenirs to buy in Finland? Getting the coolest, prettiest and simply the best souvenirs for your loved ones or for yourself ain’t always an easy task. We’ve picked up a list of original items to bring home with you from Finland. Finland is a home for many well-known brands such as Iittala, Marimekko and Pentik. What might be surprising is that you can find these design products not only from specialized shops but also in local supermarkets. Here are some more details on these brands. There is a great amount of events going on in summer all around Finland. Wherever you go, you will find opportunities to meet with the locals and have an enjoyable time. From the funniest Wife Carrying Championship to the intriguing Silence Festival, there are events for every taste. Here is a list of 5 cultural events to add on your list when visiting Finland during your summer holidays. Have you ever dreamed to play guitar on stage in front of a boiling crowd? Then you should stop by the city of Oulu and join the Air Guitar World Championships. Last year the event celebrated in the end of August its 20th birthday! Cool music, great atmosphere and a funny show guaranteed! Even countries like India, Latvia and Kazakhstan have their own national championships and are meeting with Finnish competitors in Oulu to join the show. This year the World Championships happens in Oulu from the 24th to the 26th of August 2016. In 2015, a Russian Kereel Blumenkrants won the competition. So will you be the next Air Guitar hero? To stay in the Oulu area we recommend you to look at our cottage selection. Hailuoto, for example, is a great place to stay in summer; you could even stay in an old lighthouse! The small village of Kaukonen in Lapland is welcoming visitors to take part in a fascinating event: the Silence Festival. If arts and local culture is your thing, this is the place to be from the 8th to 11th of June 2016. This year, the festival offers a diverse programme. You can watch circus performances, listen to classical music, talk about philosophy, and more. Make sure not to miss the festival opening ceremony, for the special show planned on the Ounas river. Moreover, the program is suitable for the whole family. The event happens in the magical Villa Magia surroundings. The building is an old and traditional farmhouse renovated by the artist Milla Magia. This place is right besides the river Ounas in an idyllic location. There you can also buy handicrafts like ceramics, jewelleries and textiles, designed by Milla. Lapland summer atmosphere is special. During this festival you get interesting perspectives and experience something different. We warmly recommend it! The Midnight Sun Film Festival is already well-known among cinema fans around the globe. Its small size and location of the town, and the fact that you can watch movies 24h a day, make it really unique of its kind. Originally created by the Kaurismäki brothers, the festival will now celebrate its 31st birthday. 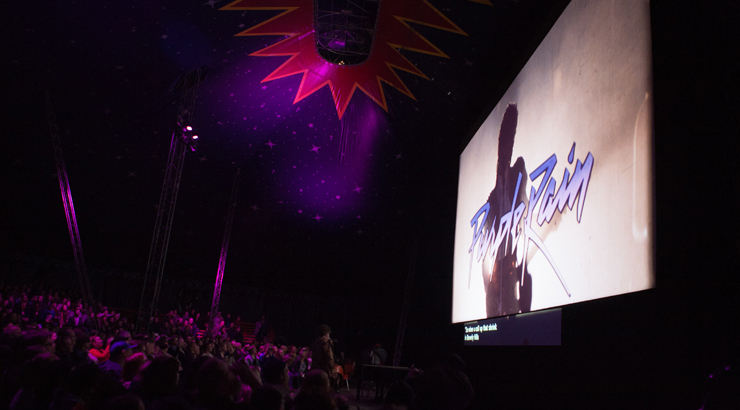 Last year, Sodankylä welcomed more than 30 000 visitors to watch great films. The public can also interact with their creators face-to-face during conferences.Film directors, actors, and new talents are captivating the audience in a relaxed and informal way. All this happens every year in the heart of Lapland, 120 km above the Arctic Circle. This music festival is a great mix of modern arts, music, and hand picked food. All these ingredients together allow you to enjoy the diversity of performances. This year, the event has a large panel of artists from the legendary Massive Attack to upcoming musicians. Concerts and performances are taking place from the 12th to 14th of August 2016 in Suvilahti. It is only a few minutes away from the city center by metro. There, you will find more than 10 different stages. 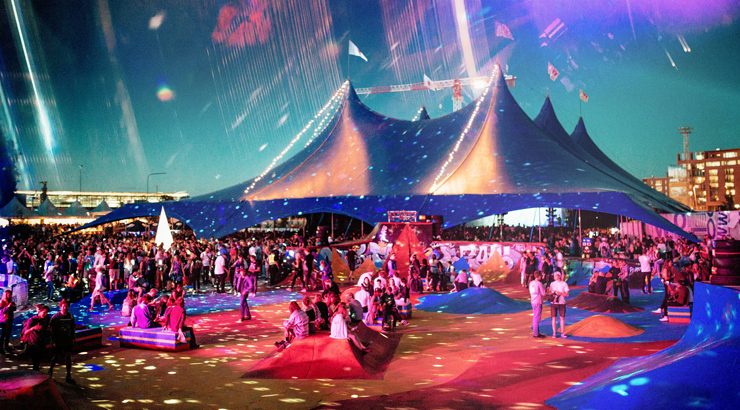 You can choose from large outdoor tents to intimate indoor venues. One of the most impressive stage is the gigantic balloon with a 360º stage. It creates a new interaction genre for both artists and the crowd. Each year, the city of Turku welcomes international and Finnish rock musicians to a huge gathering. The Ruis Rock festival is one of the oldest in Europe. It takes place right at the doors of the beautiful Finnish archipelago. It is also a unique opportunity to discover local artists and have a good slice of Finnish rock music. The festival will happen from the 8th to 10th of July in Ruissalo Park. Besides of music, you can enjoy street art, circus and puppets theatre performances. 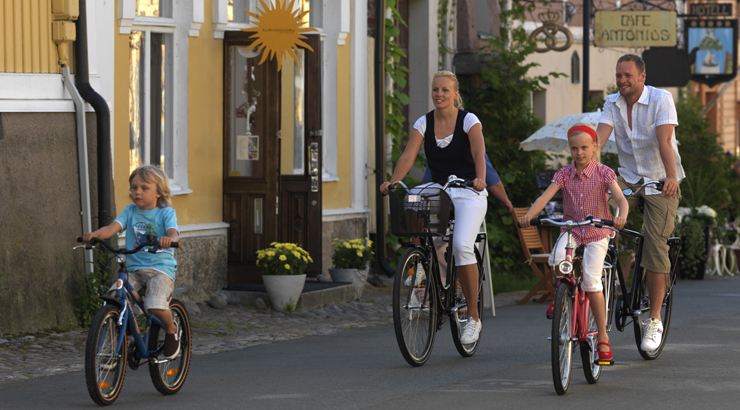 If you stay longer in the area, we recommend you to take a tour in the Archipelago and explore the islands by cruise boats, or bicycles. Don’t miss places like Kimitö Island, Örö Fortress island or Hanko. 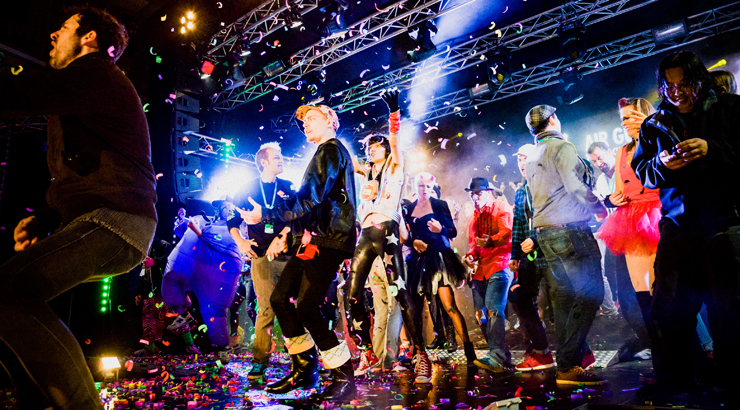 These 5 events will definitely give a nice twist to your stay in Finland. Festivals are best to enjoy the summer season among locals and international crowds. They are best to share great moments with friends or families. So come and join us! Finland is probably best known for the midnight sun, sauna and thousands of lakes. Indeed, the summer season is a great period to experience our country’s endless days and interesting places from the Baltic shores up to the Arctic Circle. Here are our favourite destinations to spend great family holidays, offering plenty of activities for everyone. Let’s start from the South of Finland and stop by the town of Naantali. The best way to reach it, is to rent a car and have the freedom to explore the beautiful coast. You can either drive from Helsinki if you land there or take the train to Turku and get your rental car to come to Naantali. Have you ever heard about Tove Jansson’s Moomin family? Very popular especially in the Nordics, the Moomin Theme Park offers a lot of fun activities to entire family. Children can visit characters’ houses, play games and watch performances. Located in the beautiful island by the old of Naantali, in the meantime, you can appreciate the surrounding nature and sea views. The whole family can experience a pirate adventure onboard of the Rosita ship, to hunt for golden treasures. The ship will take you to the Väski Island where the young adventurers can fully enjoy their day. Not far from the Moomin World, the Väski Island proposes a full day of outdoor adventures from climbing to repelling. The fishermen village offers as well a good choice of restaurants, beaches and, even sauna. This is a relaxing way to end the end, combined with a swim in the Baltic Sea. From the Naantali harbour, we highly recommend you to take the ferry for a weekend to visit the Åland Archipelago. Island hopping is a fun way to explore the area and enjoy the fresh air of the Baltic Sea! The capital of Finland, Helsinki, is the most visited city in summer and you will soon understand why. There are so many cool things to do that we could write many posts about it. So we selected for you our top 3 things to experience. Linnanmäki is the most popular amusement park of the city. Our favourite attraction would be the old wooden rollercoaster, which has been popular from the 1950s. The park offers nice views of the city and hosts many concerts during the summer days. Children can access many attractions free-of-charge. You won’t get it wrong with your kids when visiting the Science Center Heureka. Its planetarium offers stunning animated films and different exhibitions are known for eye-opening experiences. Even if we are in the capital, the nature is never far away in Helsinki. You have plenty of options to choose from the Nuuksio National Park to the Uutela recreational area, to name a few. If you are willing to do something cool, have a city tour by kayak! 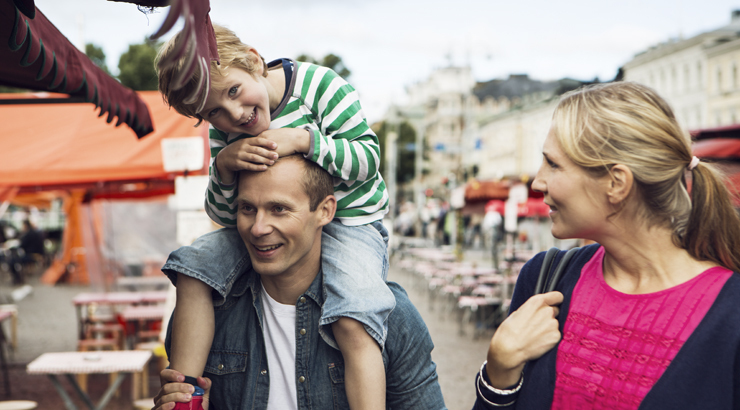 OUR TIP: Plan your Helsinki stay with your young children thanks to this cool map. Besides being the Official Hometown of Santa Claus, Rovaniemi offers many opportunities to spend a family summer break surrounded by Arctic nature. Although mostly visited during the winter period, the Santa Claus Village is always open and Santa himself is welcoming visitors every day of the year. Only 2 km away from the village, we suggest you to visit the Santa’s most secret cave, Santa Park. Your children can join the Elves school to learn how to become the best little Santa’s helpers. The elves are here to guide you to experience all sorts of attractions. You can even bake your own gingerbreads cookies or visit ice gallery. If you are interested to discover more about the Finland’s nature, visit the Pilke Science Centre. It allows you to learn more about forests, the amazing natural resources that so many locals enjoy all year round. Children can play interactive games and with wooden toys during the visit, or even sing karaoke. Next door, the Arktikum Museum is also a place you will not want to miss if you are in Rovaniemi with the whole family. The permanent exhibitions tell stories about Lapland and introduce the people and animals of the Arctic. As Rovaniemi is located by the Arctic Circle, it offers opportunities to discover animals that are rather rare elsewhere. 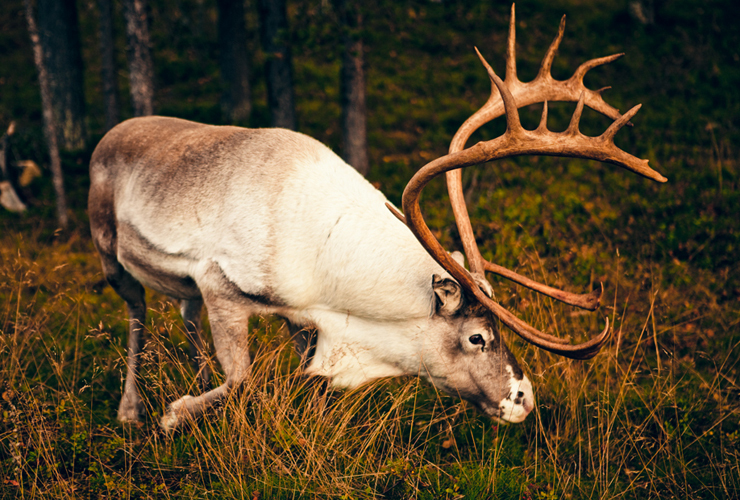 In summer time, you can visit reindeer and husky farms, or even participate in the moose-watching safari. An 1-hour drive from Rovaniemi is located Ranua Wildlife Park. One of the Lapland’s leading family attractions, the Park offers as authentic environment as possible for the 50 wild animals species. OUR TIP: Right in the heart of the Rovaniemi, you can go to the public beach to swim in the river and meet up with locals enjoying holidays or weekends there. Among these 3 destinations, Naantali, Helsinki, Rovaniemi, you will find a good selection of cottages. Most of these accommodations are close to services but at the same time, surrounded by nature. To make the most out of your stay, we highly recommend you to look for rentals with a lake view or on the seashore in small bays, to experience the summer season as many locals do. Some of these cottages might also have a rowing boat available for you to go fishing.